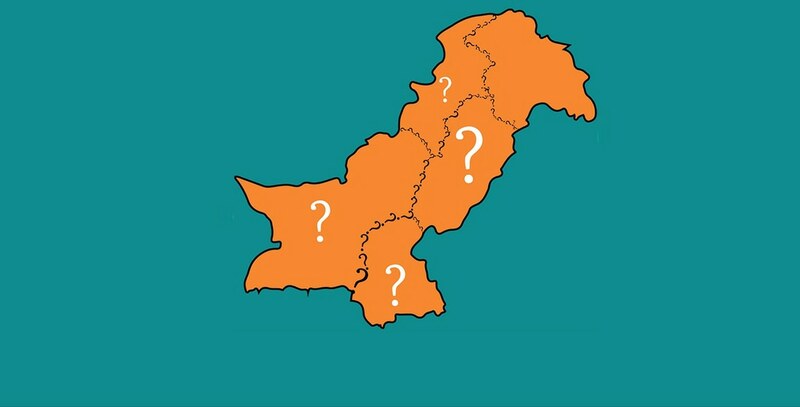 Dawn.com explains how the demarcation of constituencies is done. The word delimitation — or its Urdu counterpart, halqa-bandi — has been thrown around frequently in the months leading up to the election. It started popping up sometime after the provisional results of the last census were released, and had become a regular fixture of electoral parlance by the time the outgoing setup made way for the caretakers. So what does delimitation — an oft-heard but rarely understood electoral term — actually mean? Simply put, delimitation is the process of dividing up a country's total area into smaller units in order to conduct elections smoothly and efficiently. The whole point of democracy is to have the general public be represented in parliament. And since countries are big, sometimes even mammoth entities, it is not practical or even possible to conduct polls on the entire electoral territory as a single unit. This is why the total area over which elections are to be conducted is chopped up into smaller chunks. That chopping up procedure is precisely what delimitation is, and the resultant chunks, the constituencies. But this definition would be apt for a territory where election is being held for the first time. What about the case where the electoral area had been chopped up or delimited in the past? Does delimitation not have a role there? Is it a one-time and one-time exercise only? The answer is no; delimitation's role and occurrence does not diminish in repeat polls. One of the basic principles of delimitation is to create constituencies that are representative of population groupings. That means that, ideally, constituencies should have an equal number of people (more on this later). But since births, deaths and other natural factors create disproportions over time, fresh delimitation has to be conducted prior to the conclusion of every government. This is where census comes in. Who conducts delimitation in Pakistan and how? The Election Commission of Pakistan (ECP), an electoral watchdog constituted under Article 218 of the Constitution, is tasked with delimiting the national and provincial level constituencies. The ECP, per the Election Act 2017, is legally bound to start the delimitation process after every census and at least four months prior to the scheduled polling day. As mentioned above, one of the basic rules of delimitation is to divide the electoral area into constituencies of equal populations (10 per cent variation is still allowed). But since the ECP is an electoral watchdog and not a statistical centre, the Election Act 2017 directs the ECP to rely on the final report of the last census conducted by the Pakistan Bureau of Statistics. However, a final report of the 2017 census has yet to be compiled. As a result, a special Constitutional amendment was made in December last year to allow the ECP to use provisional data from the 2017 Census of Pakistan to delimit constituencies for the 2018 general elections. The election commission had subsequently formed six delimitation committees — one for each province, one for the federal capital, and one for the tribal districts that were formerly part of the Federally Administered Tribal Areas. Under the Election Rules 2017, the delimitation of a constituency of an assembly starts from the northern end of the district and then proceeds clockwise in a zigzag manner, keeping in view that the population in each constituency remains as close as is practicable according to the quota. Any variation in population between two or more constituencies should not ordinarily exceed 10 per cent. However, the delimitation committees have the provision to establish reasons if, in exceptional circumstances, the variation exceeds the limit. As mentioned above, the law requires that constituencies be demarcated so that on average there is a somewhat equal number of people in every constituency. This gives equal power and representation to the vote of every person, regardless of the place or area they are living in — be it urban or rural. However, according to data released by the ECP, the most populous constituency is NA-35 Bannu in Khyber Pakhtunkhwa, with a population of 1,167,892. In sharp contrast, the NA-262 Kachhi-Jhal Magsi constituency in Balochistan has a population of only 386,255. This means that nearly three votes in Bannu district have been given the same power as 1 vote cast in Kachhi-Jhal Magsi. In other words, a vote in Bannu had one-third the value, in terms of representation in parliament, than that of one in Kachhi-Jhal Magsi. The difference between the most and least populous constituencies comes to 781,637 — which is more than even the average population a constituency should have under the law and as mentioned by the ECP itself. These unusually large and small constituencies are present in all provinces: 10 in Punjab, nine in Sindh, eight in KP and four in Balochistan. When the initial data of delimitation was filed for approval, there were more than 30 unusually large and small constituencies in terms of population. The average population per constituency was calculated to be 779,886, keeping in view last year's census findings in the country. However, a careful analysis of the data released by the ECP in its report showed that there were seven constituencies with a population of more than a million, and 23 other constituencies having a population of over 900,000. A senior ECP official explained that while drawing the constituencies, a district was taken as a basic territorial unit. Due to this, there were a few very large constituencies and some smaller than the average size, because the ECP’s main focus was to avoid the overlapping of districts. What this meant on ground is that in case a district had lower than the average population, it was simply given a National Assembly seat rather than have it included in a constituency that overflowed into another district. The contra scenario, a district having a higher than average population (but less than twice the average), was also accommodated in a similar manner: given a single seat, rather than it be split into one constituency of around 780,000 voters and have the remaining merge into a constituency overflowing into another district. Gerrymandering is the practice of drawing up constituencies in a way that either dilutes an opponent's voting support across many districts or confines the voters to a single district. Consequently, this tactic, which is essentially a form of pre-poll rigging, leaves the targeted party's net seat victories lower than what its actual vote bank ought to have commanded. The word "gerrymandering" is very rarely or hardly ever uttered in Pakistan's pre-electoral chatter, but it does very much exist in essence. In fact, there is hardly an election when someone does not claim to be a victim of unjust delimitation — or in other words, gerrymandering. The ECP's autonomous status, however, means that the accusations of gerrymandering in the buildup to the 2018 polls have been at a minimum, if not completely absent. Gerrymandering is a real and present danger. It almost appears as a part and parcel of a functioning democracy. It goes on unabated in the most developed of countries. Democrats and Republicans in the US are always at loggerheads over delimitation at local, state and federal level. Informative. But illustrations sought from current electoral process by political parties i.e. PPP PTI MQM etc. who are undertaking campaigns could have been of more help in understanding the concept of delimitation. Can we see at least some basic statistics of those anomalies? A bell curve for the differences in the min-max of constituencies perhaps? that would really establish the accusations made in the article. you fail to understand while Baluchistan population may look less in one constituency but it may 5 or 10 times greater area wise. So its not possible to compare only the basis of population but physical layout as well. It also gives more representation to scattered and less populated areas which often neglected. So its not anomaly but very normal phenomenon. It makes a huge difference as a way as a way to qualify some voters and disqualify others.